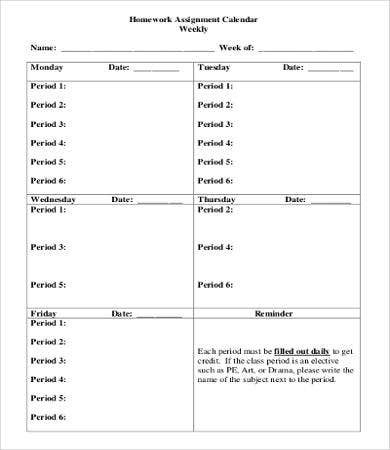 Are you always missing out homework deadlines? 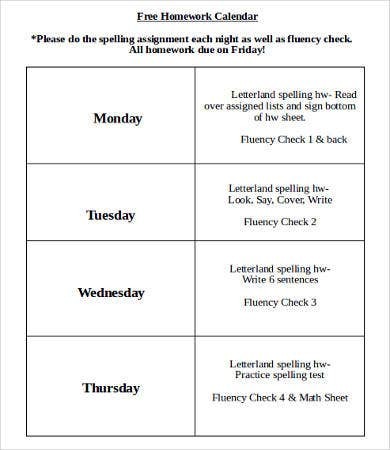 Searching for ways to organize you assignments and homework? Thank your lucky stars because you are on the right page. 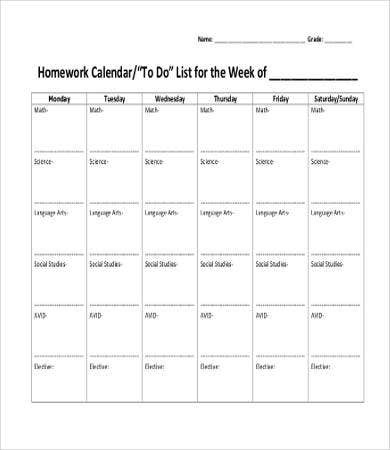 We have here an array of homework calendar template designs that will help you remember crucial dates of deadlines. 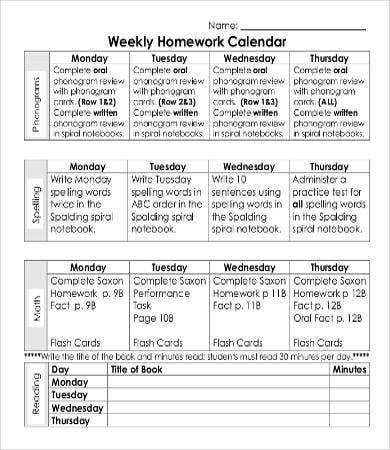 Homework is always easy when you know how to sort them out according to urgency and plot them in calendars in order to remember the deadlines. It is inevitable that the human mind will forget dates. 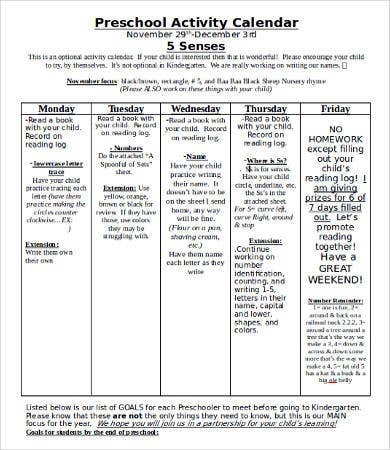 That is why start downloading our Calendar Template designs to help you organized and pass your homework on time. 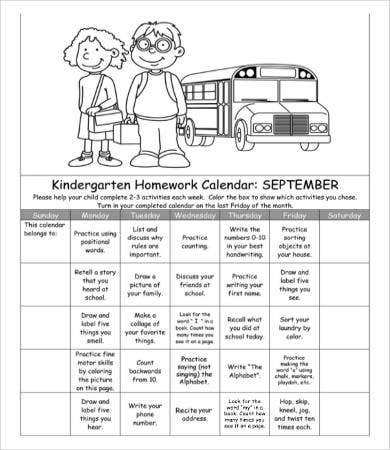 As you can see, our templates are not just for adults but also applicable for kids such as our kindergarten and preschool homework calendar. 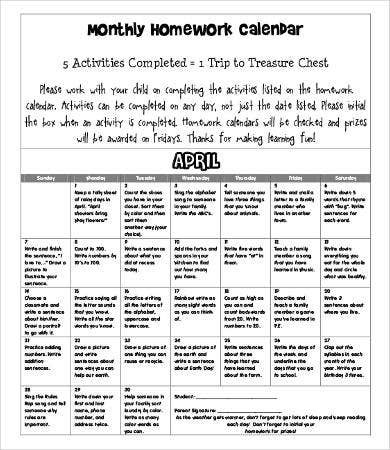 It is always good to exercise and teach your children how to organize and manage their time. With this, they will not have a hard time coping up with the stresses that adult life may give. 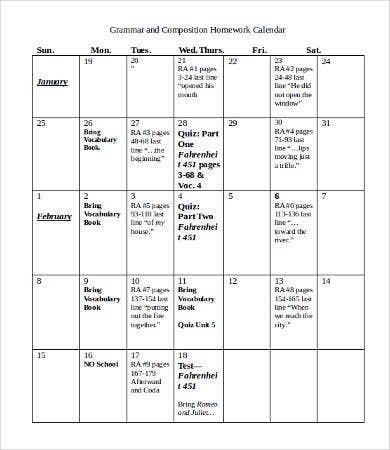 For other extracurricular tasks and activities you need completing on time, our more generic Blank Calendar Template samples and Daily Calendar Templates will help you organize and schedule so you can finish these tasks on time. Higher grades. Of course you’ll have higher grades! Passing on time connotes diligence and hard work. A more planned output is better than a crammed homework. Help increase you memory retention skills. It is good from time to time to practice and enrich your memory skills. 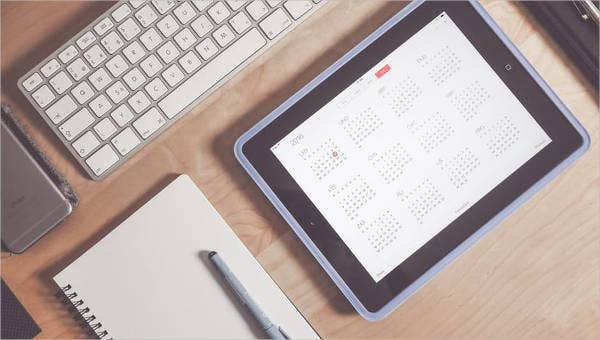 By having calendar templates, you can base your memory on visual stuff and get a greater possibility of developing long-term memory. Increase your organization skills and time management. Organizing is not everybody’s forte. It is not learned in an hour or a day. It requires diligent time and effort. More check marks on your to do list. Organizing can help you get things done on time. 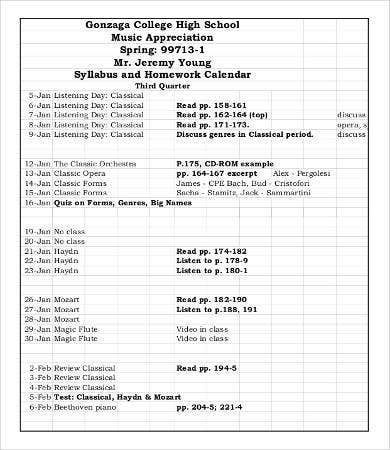 These are just some of the benefits of using calendar templates. So feel free to download and use them too. 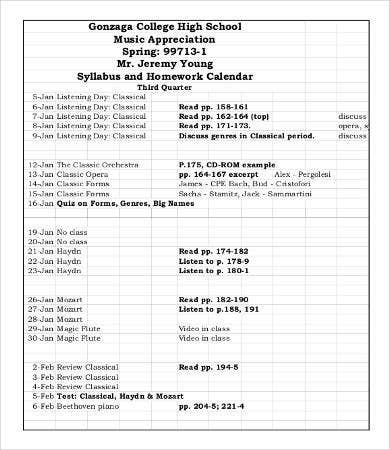 If you are interested with School Calendar Templates, we also have some templates for you.